Make sure you have enough packing supplies before you start - there is nothing more frustrating than having to stop halfway because you have run out of boxes. All boxes should be labelled and sealed - do not interlock the flaps as this will weaken the box, use strong vinyl tape as opposed to normal adhesive tape which lasts a lot longer and does not dry out after a period of time. Pack one room at a time and try and pack a couple of boxes every day well ahead of your move. 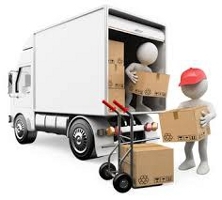 When packing boxes place heavier/bulkier items at the bottom and place smaller , softer items at the top. Ensure the box is full so you can close the flab - half empty boxes tend to collapse and will not stack in a storage unit. Make sure each box is labelled with the contents and if possible, to which room they belong - use the Inventory Table at the top - this will make it a lot easier when it come to unpacking. Use smaller archive boxes for packing books and delicate ornaments. Try not to pack heavy books into large boxes otherwise they will become to heavy to lift and the bottom of the box will collapse - books should be packed flat and not on their spines. Mark any overweight boxes as HEAVY so no one injures themselves whilst moving them. Try not to use bin bags as they rip and tear very easily - if you do use them, purchase the heavier duty bags to ensure they do not burst during the move. Avoid packing bedding or clothes in plastic bags to prevent moisture damage. Use polythene mattress covers that slip over a mattress to keep clean and dry during your move. Use bubblewrap to wrap pictures and mirrors and place in a neat stack ready for collection. Use an archive box to pack important documents such as passports, birth and marriage certificates and other relevant documents. Good packing is essential for a good move - careful planning and packing will save you a lot of money and stress!